Composed by Robert Parissi. Arranged by Gordon Goodwin. Jazz Ensemble; Performance Music Ensemble; Single Titles. Gordon Goodwin Series. Funk; Jazz. Score. 24 pages. Belwin Music #00-24865S. Published by Belwin Music (AP.24865S). Funky, funkier, funkiest. 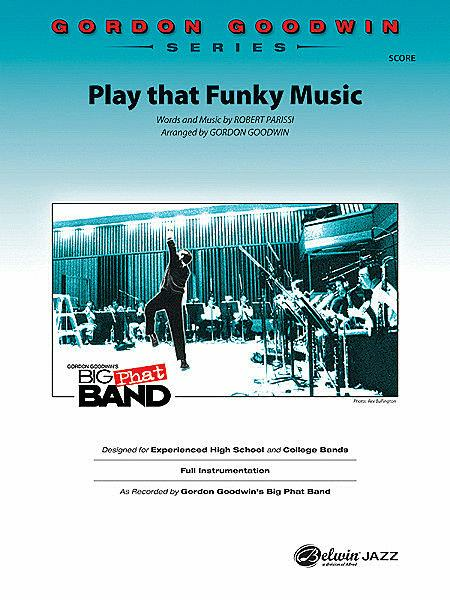 This Gordon Goodwin chart on the classic funk rock tune "Play That Funky Music" is a showcase for your lead alto saxophone soloist from start to finish. This one demands a contemporary alto sax soloist with style and some altissimo chops too. Groove is essential for the rhythm section. 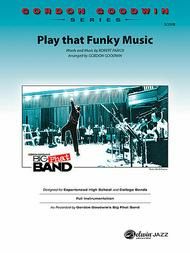 If you have the rhythm section funk groove and the alto player, this is IT! As recorded on "The Phat Pack," Gordon's newest CD.